Rheumatoid arthritis is an aggressive, destructive disease. It attacks your joints and tissues like they are foreign bodies. It comes with pain, stiffness and other symptoms that bring down your quality of life. If that sounds grim, consider this: Rheumatoid arthritis has become highly treatable, too. It may be more treatable than any other known form of arthritis. That’s just one of many factors that make rheumatoid arthritis different. The most common form of arthritis, osteoarthritis, is a disease in part of time and aging. Rheumatoid arthritis is different because it’s an autoimmune disorder; you don’t get it from regular wear-and-tear on your body. Your body’s attack on itself results in inflammation, which causes pain, stiffness, swelling and other symptoms that may affect other organs. There are a few telltale signs of rheumatoid arthritis. For example, is your pain symmetrical — meaning is it in both shoulders, both elbows or both wrists? Does your stiffness last longer than 30 minutes and the morning? Do you dread going to bed at night because you know you’ll wake up with pain? Those are all red flags for rheumatoid arthritis. 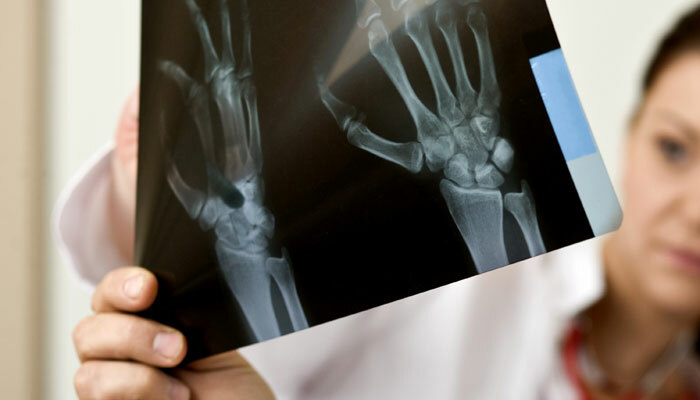 A doctor can examine you and order X-rays or other images to confirm a diagnosis. Rheumatoid is not the most common form of arthritis, but we may know more about it than all the others. Cancer and HIV/AIDS research is a big reason why. As researchers have learned more about the immune system by studying cancer and HIV/AIDS, people with autoimmune disorders have benefited. That’s especially true when it comes to new treatments, many of which focus on the immune system itself. Methotrexate (Rheumatrex®, Trexall®): This drug works by counteracting the immune system’s attack on your joints. TNF inhibitors (Enbrel®, Humira®, Remicade® and Simponi®): These medications block the compound that does damage. B-cell and T-cell inhibitors: B-cells and T-cells are blood cells that play a major role in inflammation, so this class of drugs targets them. Prednisone and cortisone: Corticosteroid injections ease symptoms in a lot of patients. But advances in other drugs mean they’re not always necessary anymore. Our goal is to give the lowest doses possible to control your symptoms and your quality of life. All the drugs above come with their own side effects and cautions. Your doctor will want to monitor you closely and adjust them as needed. But even with those concerns, the advances of recent years amaze me. We can put the disease into remission in most patients. Sometimes we can even reverse the damage that has already been done.